Do you want to know how the divorce process works before you serve your spouse divorce papers? 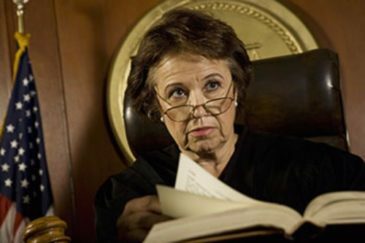 Our New Jersey divorce lawyer explains what you need to know. What is discovery? The process by which the two parties exchange information is referred to as discovery. The amount of information exchanged can be as much or as little as the litigants and their attorneys decide and may include bank statements, credit card statements, retirement account statements, and any other financial information you’re looking for. In addition, tax returns and letters from employers detailing bonus structures may be required. We may also ask a series of questions – called interrogatories – which the parties will answer under oath. These questions are sworn statements made by each party and can cover a full range of topics from lifestyle questions (if there is to be an alimony claim) to custody considerations if that is an issue. The discovery process enables both parties to dive in deep and get all the necessary financial records – and anything else they want to learn about each other. Alimony is a court-ordered payment made by one spouse to the other. It doesn’t necessarily mean one spouse was a stay-at-home parent or didn’t work during the marriage. Instead, alimony is ordered when there’s a large disparity between the two parties’ incomes. There is no threshold for that disparity, and several factors go into the calculation of alimony. It’s very fact-based and depends on the couple’s lifestyle during the course of the marriage, the dependent spouse’s actual needs, and the paying spouse’s ability to pay. How long alimony will be paid and the how much it will be is based on the marital lifestyle and must be discussed with your attorney. In a divorce, one frequent question is, “How we are going to treat premarital assets?” The most important thing I tell my clients is, “Keep your premarital assets separate from all of the marital assets – anything that accrues during the marriage.” If the client didn’t speak with me before they got married, and their assets are already commingled, proving what was premarital – as opposed to – what was marital is very difficult. For instance, if you had a bank account containing several thousand dollars and, now that you’re married, you’ve added your spouse onto that bank account and continued to deposit money in it, it will be nearly impossible to segregate premarital and marital assets.